There are some dishes that always remind me of Autumn. 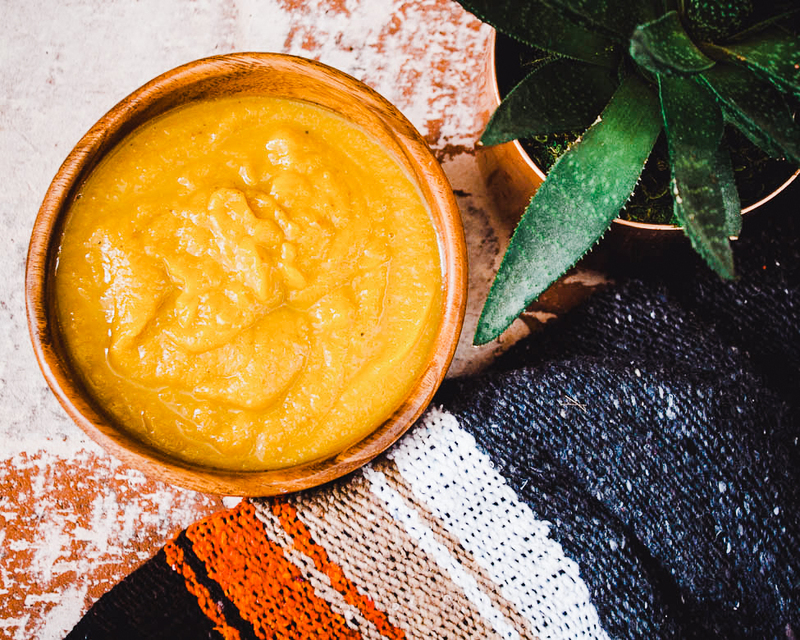 This Simple and Healthy Butternut Squash Soup is one of them! This recipe includes fresh Butternut Squash, apples and crisp bacon melding the best flavors of the recent harvest season. Naturally gluten, dairy and refined sugar free, this filling soup is perfect for those chilly fall days! In a medium skillet, cook bacon strips, cooking throroughtly. Remove from pan and rumble or chop into small pieces. Reserve 1/4 cup bacon grease to add to crockpot. Add all ingredients to crockpot and cook on low for 8 hours or high for 6. Add salt and pepper to taste. Enjoy!